8th July, 2017. Hamburg, Germany. 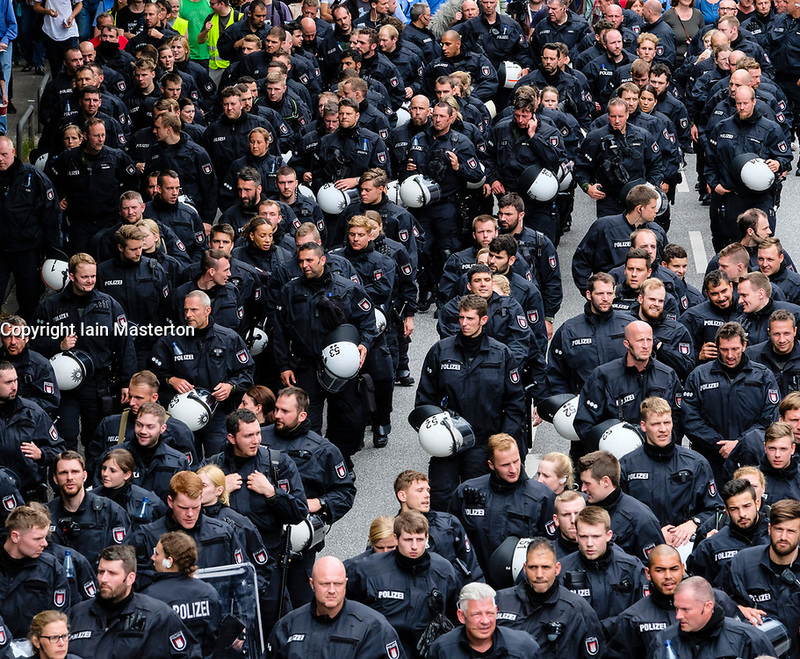 large demonstration march through central Hamburg protesting against G20 Summit in city. Here large group of police march in from of main protest march.